Make that driveway shine. These power brushes clear slush, sleet, snow as well as leaves, sand and more, all the way to the ground. 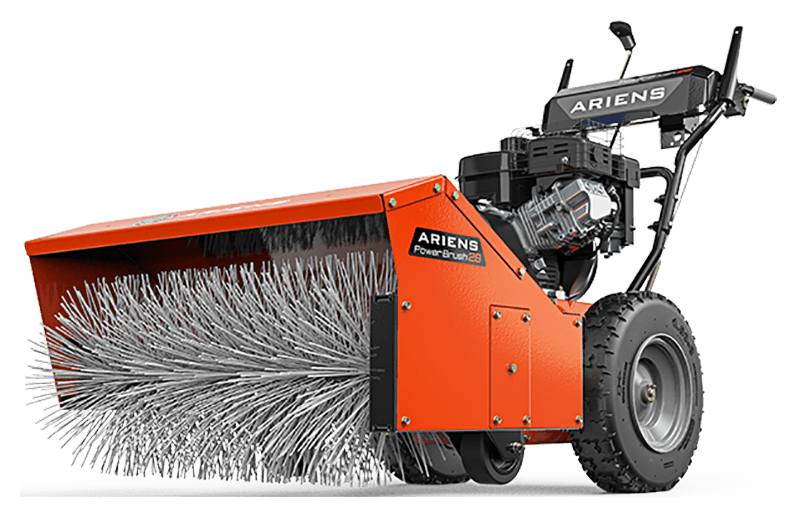 The 40° pivoting brush head pushes it in the direction you want. HEATED HAND GRIPS: Maintain precise control in the coldest of temperatures with the heated handgrips. LARGE TIRES: Superior traction and control, no matter the surface or season, for more efficient clearing. TRIGGERLESS STEERING: A steering differential senses turning and locks up one wheel so the machine turns easier.